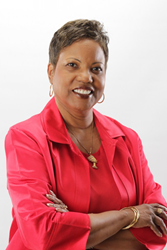 Bestselling author and formative assessment authority, Dr. Marcia L. Tate, has published a new education book with Learning Sciences International. By the time teachers complete this book, I want them to understand how to create a brain-compatible classroom conducive to teaching and learning. Learning Sciences International is releasing Dr. Marcia L. Tate’s most recent book, Formative Assessment in a Brain-Compatible Classroom: How Do We Really Know They’re Learning? The book is now available for pre-order through the Learning Sciences bookstore and will be shipping in April. Tate presented a webinar about the content of the book on March 16, 2016. A recording of the webinar can be viewed on the Learning Sciences International website. She also wrote a guest post for the company’s blog. A former executive director of professional development for DeKalb County Schools in Decatur, Georgia, Tate has worked as a teacher, reading specialist, language arts coordinator, and staff development executive director. More recently as an author and educational consultant, Tate has presented workshops to nearly half a million administrators, teachers, parents, and community leaders from all over the world. She is also the author of seven bestselling books.